Microsoft office has grown to be the best office partner in the world. In fact using this Microsoft Office is beneficial when you want to create and edit documents. However, you can lose the vital document that you may feel it is the end of everything. Data loss can be due to system failure, human errors like deletion, you can force quit when the program is not responding or you may fail to save changes made. In some cases you can install software and it destabilizes your office leading to data loss. Such scenarios might be heart sinking since you will loose precious files. Besides performing the Auto recovery or Auto save options you can also check files on Open recent items. If you deleted files accidentally you can also look up at the recycle bin on your computer. For Mac users the deleted items are stored at trash. As you try the entire above recovery mode you are not guaranteed to recover all files. Therefore, you need to install document recovery software that can recover document files. Below are top ten document recovery tools. It has four powerful recovery modes. It recovers various data types lost in any kind of scenario. 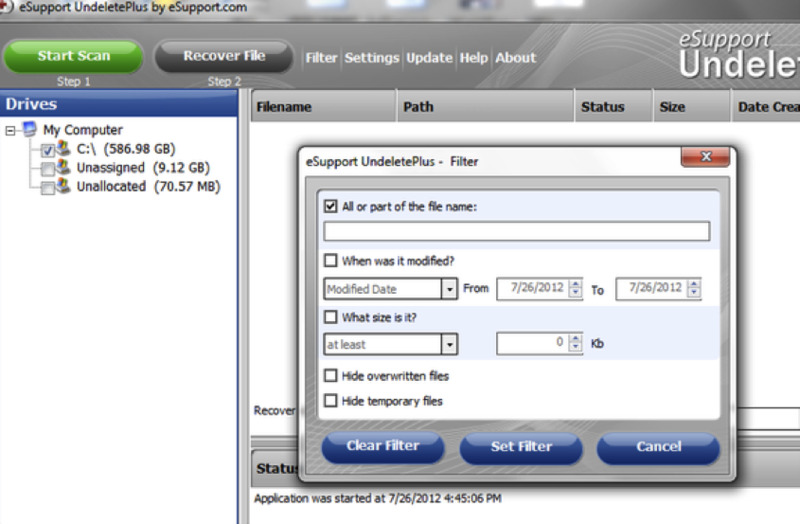 Undelete plus is powerful recovery tool that can recover lost data files. It can recover files from DDR memory cards, floppy disk, hard drives, memory cards, computers and digital cameras. This software is effective and very to use. It can recover deleted file from recycle bin, due to formatting, virus attack, and system failure or data loss due to virus attack. Recovering files is super fast you just need to specify files types and path and scan. It support windows operating system such as; Windows 10, 7, 8, 2003, 2008, Vista and Xp. Undelete plus can recover music files, photos, emails, videos and Documents. The documents include Word, Excel, HTML, and PowerPoint Text just to name a few. Total recovery of files is not guaranteed. Still looking for document recovery software that can recover your entire MS office file? Recuva software can do you justice. 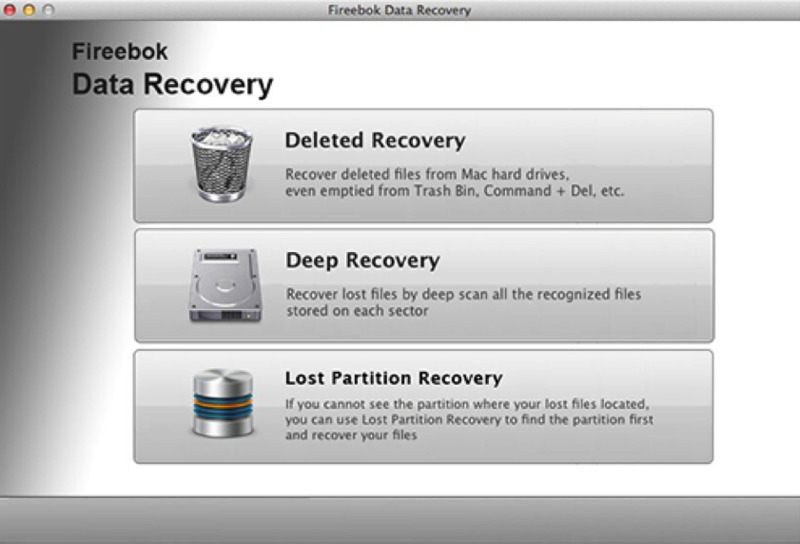 It will also recover images, music, videos and audios that are in FAT, NTFS and exFAT file system. It supports memory cards, media players, digital cameras other storage media devices. 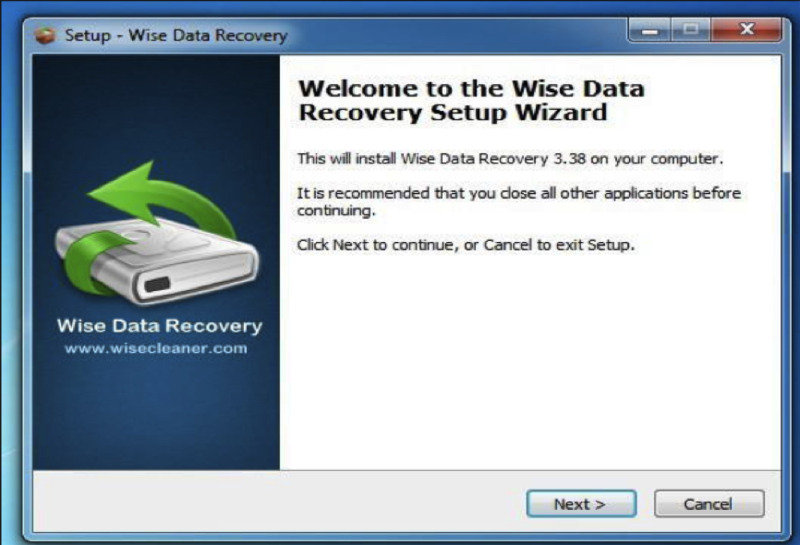 Recuva restore data lost due to deletion, formatting, and partitioning or even virus attack. All you need to do is deep scan and restore the lost files. It can sort file into different file types such videos and audios. Total recovery of photos is not guaranteed. 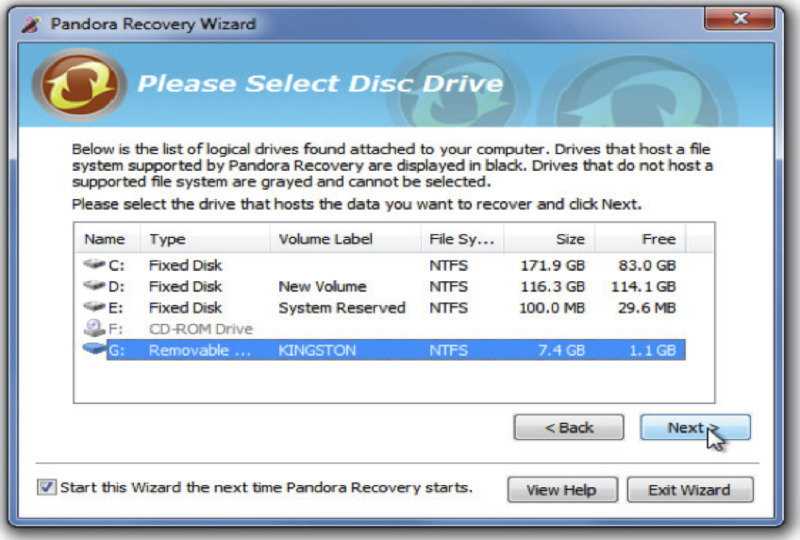 Pandora Data Recovery is another ultimate software that enables your recover your lost files. It can recover deleted files from recycle bin that are in NTFS and FAT file system. This software does not only recover deleted files but also those lost due to formatting and system failure. Due to its powerful scanning it can recover files from drive that had been damaged. You can also recover files from hard drives, memory cards, flash drives, and digital cameras.. Pandora supports windows OS namely, Windows XP, Vista, 7, 8, and 10. 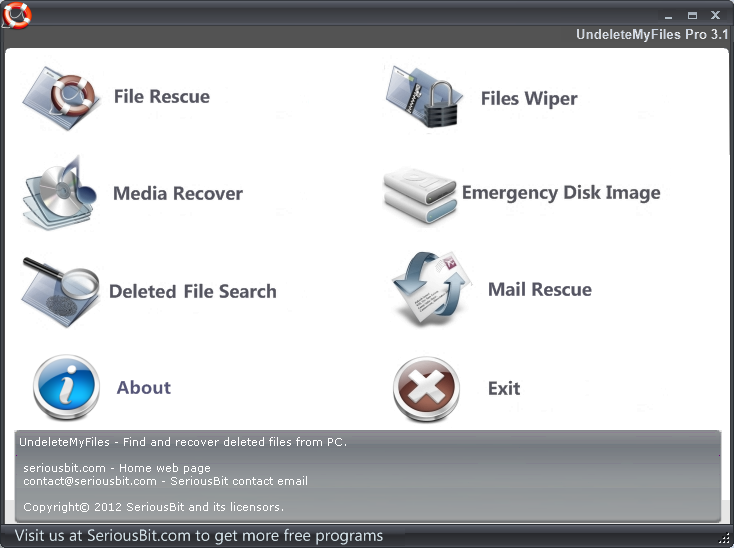 Finally this software can recover wide variety of data types like music, videos, audios, documents, emails and photos. In fact the latest version supports Digital Negative image (DNG) and Quick Time movie File (MOV). If you loose your Word, PowerPoint, Excel or HTML documents be assured to have them back. It has a preview feature that allows you to look at scanned files. You can preview documents and listen to audios before final recovery. When a file cannot be restored it does not give a reason unlike other software that provide information if it unsupported file system. 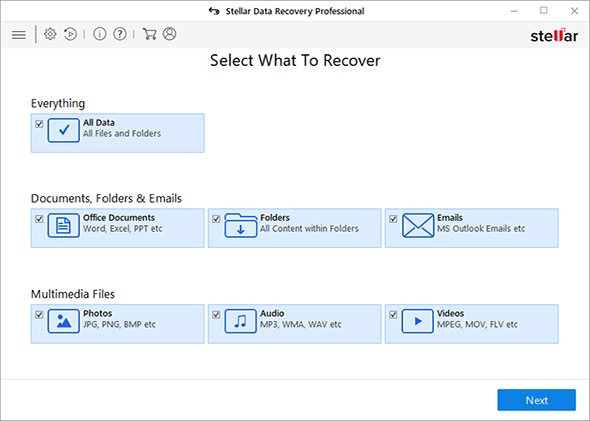 This another intuitive data recovery tool that you can use to recover your all your documents such as HTML, Texts, PDF's word, Excel and PowerPoint. Moreover, it can recover images, videos, audios, archives from your PC, storage media, hard drives, digital gadgets, server, recycle bin and RAID that are in FAT12, FAT16, FAT32, NTFS/NTFS5, and EXT2/EXT3 file system. This powerful software can recover file lost due different scenarios such as, partition loss, virus attack, deletion, formatting, system failure and improper operation. It is compatible with windows and mac OS so you just need to download the appropriate software. 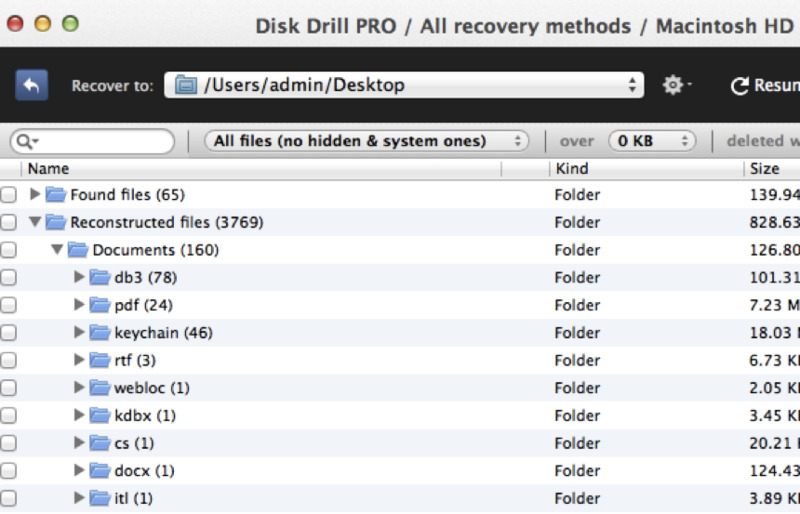 DiskDrill is an all in one-tool tat lets you restore and protect your data from future loss. It is professional easy to use tool that recovers data due to; deletion, formatting, partition loss, and system crash as well as virus attack. Your l lost files should be in HFS & HFS, FAT, FAT32, exFAT, NTFS, EXT3 or EXT4 file system. Disk drill can recover documents such as eBooks, PDFs, Word, Excel, and PowerPoint. This document recovery software can also recover music, photos, and videos from media players, digital devices, server, external hard drive, and computers. Furthermore, it has three protection modes to secure your data on your Mac. 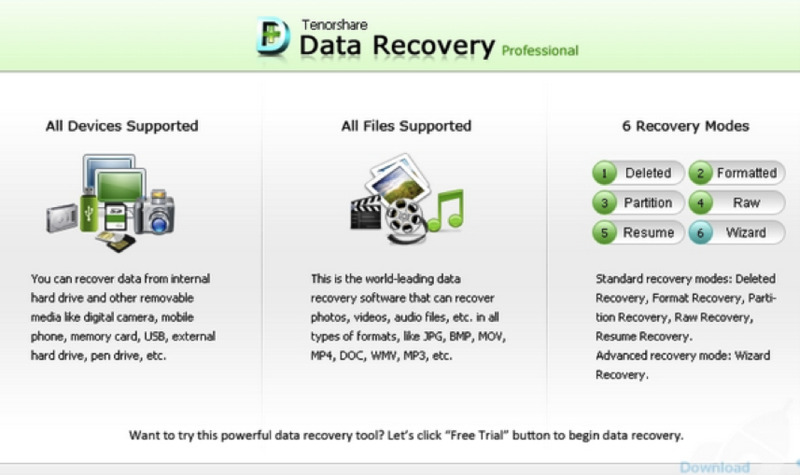 Tenorshare is scaling the heights of data recovery with its software Tenorshare Any Data recovery. As the name suggests, it can recover any form of data including music, videos, documents, images, audios, emails and archives. To be precise it can recover PDF's, Excel, Word, PowerPoint and others. Whether you hard drive is damaged, storage device corrupted, camera broken or you clicked Shift + Delete on your computer, you can still recovered your precious files. Using Tenorshare is very easy and accurate. You also stand a chance to preview scanned files before the final recovery. Also, it supports Windows, Mac and Linus OS. It is reliable and accurate. The free version has limitations. Files recovered are not displayed according to its initial folders. This freeware data recovery software allows you recover formatted, deleted, corrupted, images, music, videos archives, email and documents. This data can be restored from cameras, computer, flash drives, media players, and any form of external storage device. Compressed files can also be restored. If you are eager to recover your PDFs, HTML, Word, Excel, Texts and PowerPoint documents then this is the ideal tool. UndeletedMyFiles is a professional data recovery software. 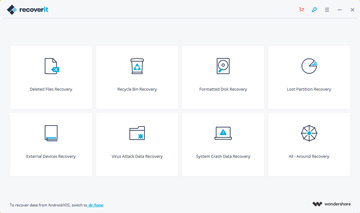 It supports to recover accidentally deleted document fiels from computer hard disk, USB drive, SD memory cards and other storage device. It is easy to recover files from PC computer. It supports to specialized filters. It is a free software supports backup and restore data. It has emergency disk image which is a critical tool.